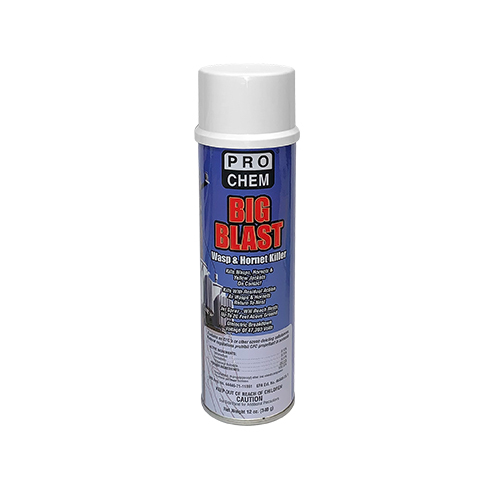 BIG BLAST | Pro Chem, Inc.
BIG BLAST assures quick, effective control of wasps, hornets, spiders, scorpions and yellow jackets. Its residual kill action prevents insects from reinhabiting nests. It produces a lethal blast of up to 20 feet, thereby minimizing any chance of an accidental sting. 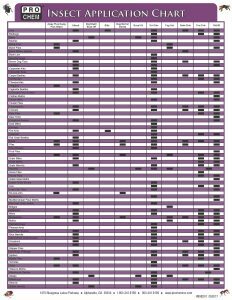 For best results, spray in early morning or late evening when insect activity is minimal. Stand a safe distance from nest and not directly underneath. Hold can upright and point spray opening toward nest with wind at your back. Spray until nest is thoroughly saturated to kill the entire nest population. Residual action will kill wasps and hornets returning to the nest. Wait at least 24 hours before removing the nest.